This documentation describes Open Hardware and is licensed under the CERN Open Hardware License OHL version 1.2 You may redistribute and modify this documentation under the terms of the CERN OHL v.1.2. This documentation is distributed WITHOUT ANY EXPRESS OR IMPLIED WARRANTY, INCLUDING OF MERCHANTABILITY, SATISFACTORY QUALITY AND FITNESS FOR A PARTICULAR PURPOSE. Please see the CERN OHL v.1.2 for applicable conditions. ZIP file with all design files on this page for easy all-in-one download. KiCAD 5.0 mcp_panel symbol library with all the custom schematic symbols used in the schematics on this page. 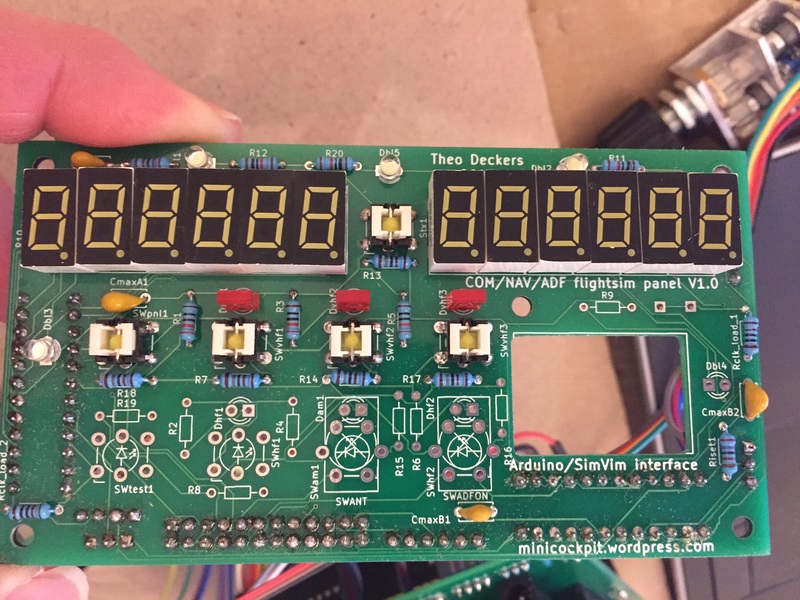 You need this only if you want to open the source schematics below in KiCAD. There is also a PDF variant of all the KiCAD schematics and layouts. KiCAD mcp_panel layout footprint library with all custom layout footprints used in the PCB layouts on this page. 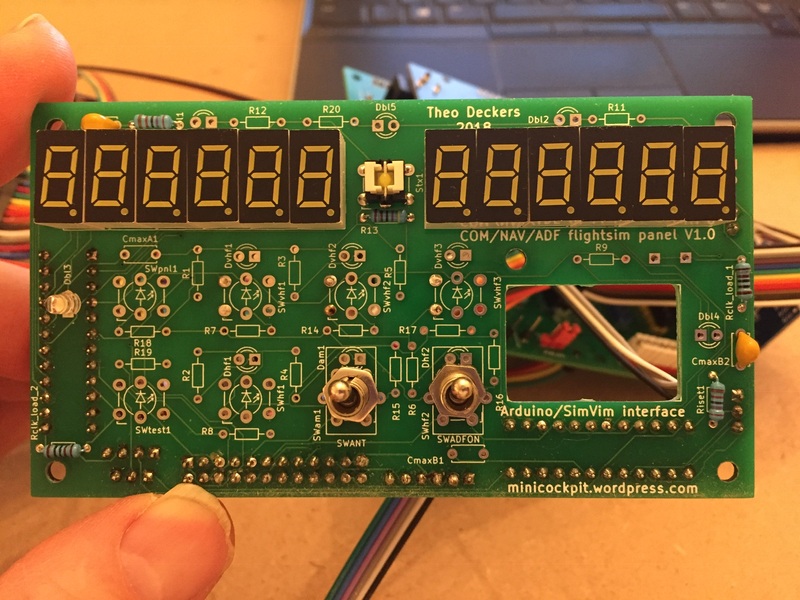 You need this only if you want to open the source PCB layouts below in KiCAD. SimVim configuration file (save as data.cfg file in X-Plane SimVim plugin directory). Note that SimVim is still under development, so occasionally things may change in newer releases. When this happens I’ll update the config files at this page. Sketchup 3D model of the 3 mm acrylic clear or opal and 2.4 mm White/Smoke Grey Troply front panel designs. 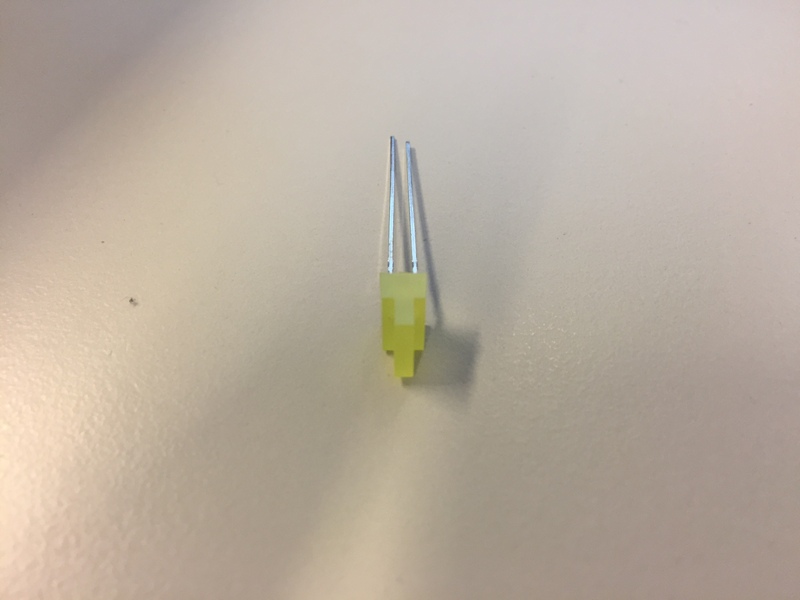 NOTE: you may need to experiment a bit with the value of the backlight LED series resistors depending on the manufacturer of your LEDs and the material that you use for the front panels. I used 10K for the panel backlight LEDs and 4.7K for the microswitch LEDs. 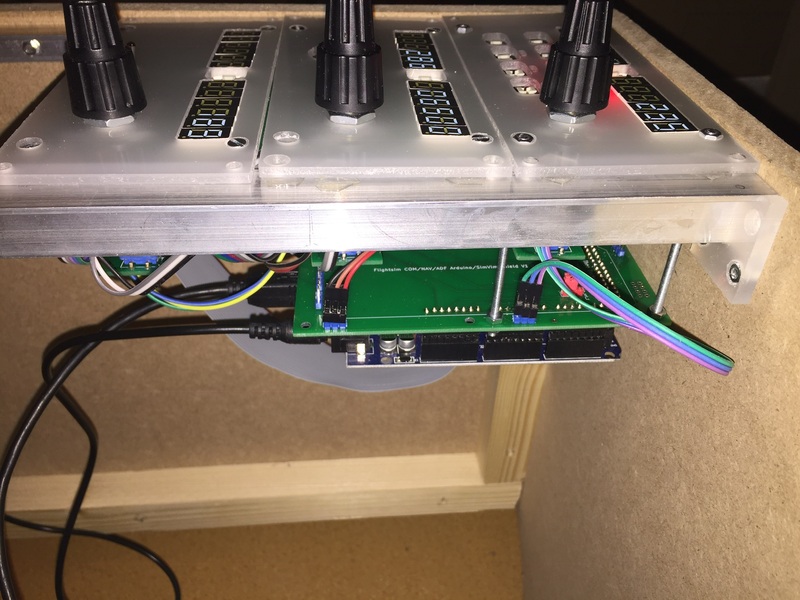 Uses the same schematic as above, only the LEDs above the frequency band switches have been rotated 90 degrees so that OSY5JA7234B LEDs can be used. 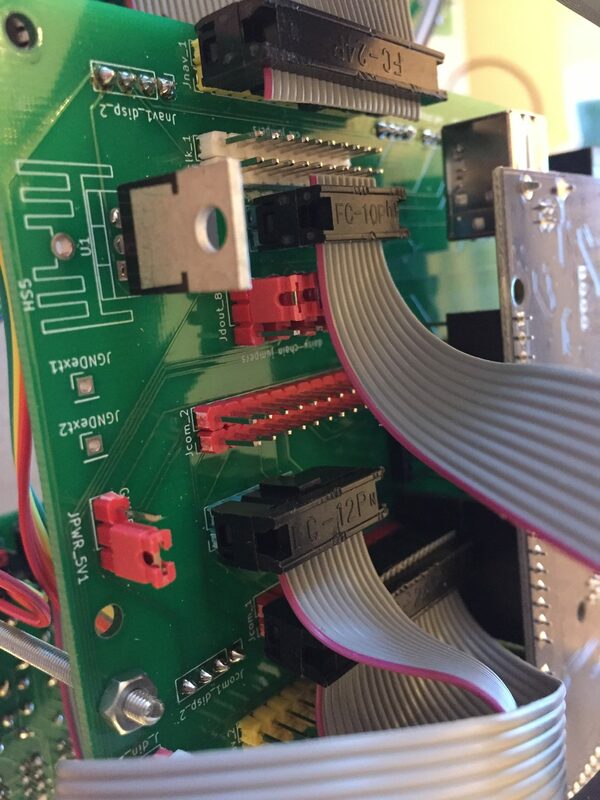 NOTE that the revision 1.0 backplane uses almost all pins of the connected Arduino Mega, while SimVim doesn’t support multiple Arduino’s, so other systems of the cockpit must be interfaced in a different way when using this prototype rev1.0 backplane. 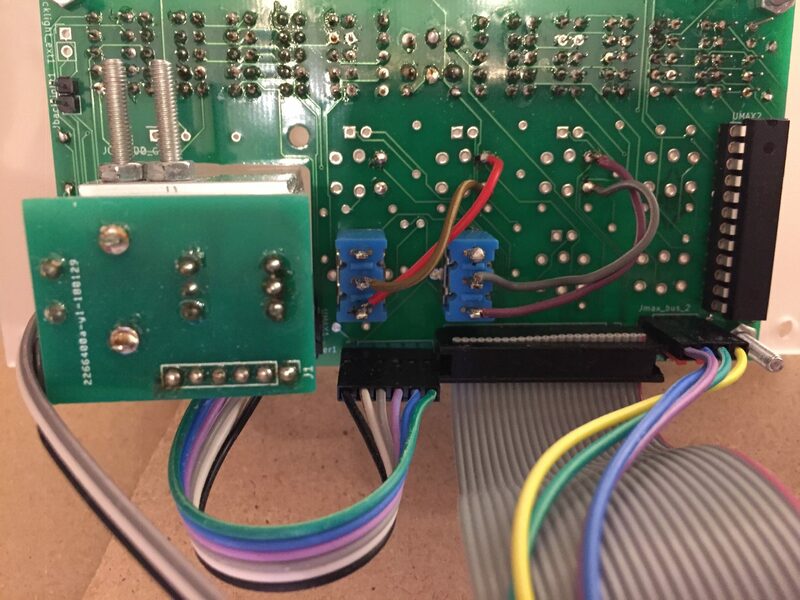 A new rev2.0 backplane and matching Arduino shield under development can be used with the same radio panels, but use more multiplexers so that also the First Officer ADF panel can be connected and other cockpit systems (MCP, 2 x EFIS, 2 x FMC, MIP) can be interfaced to X-Plane with the same Arduino. 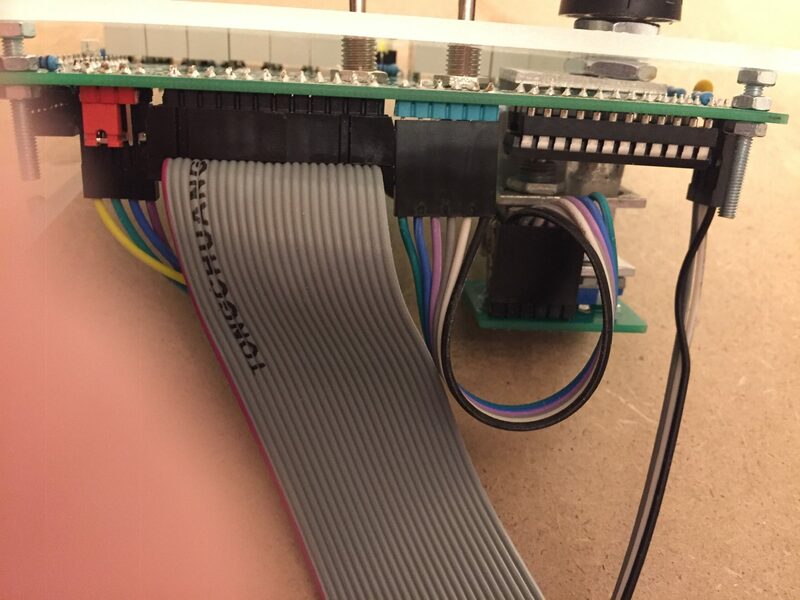 The first prototype of this backplane design completely works, but some connectors could have a better orientation / location. 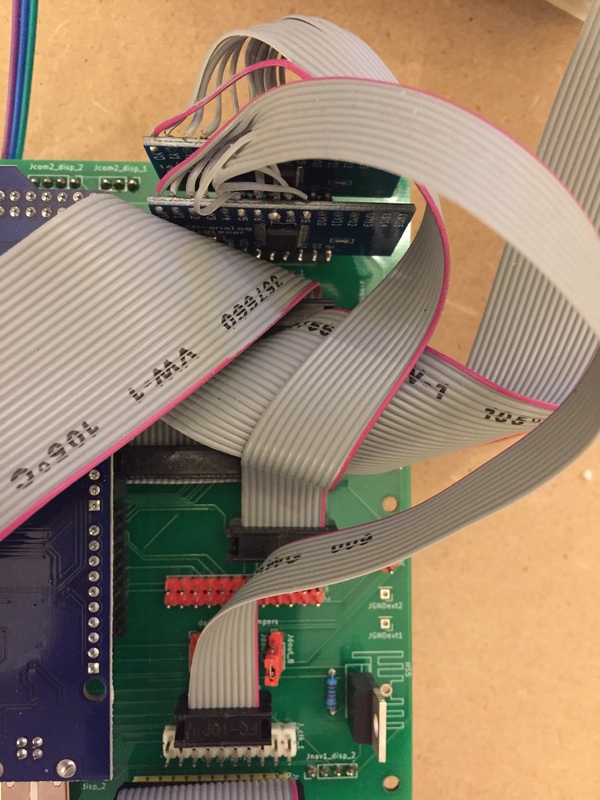 Note the red flatcable lines for correct pin 1 connection, the GND pin of the multiplexer boards must be towards Arduino. 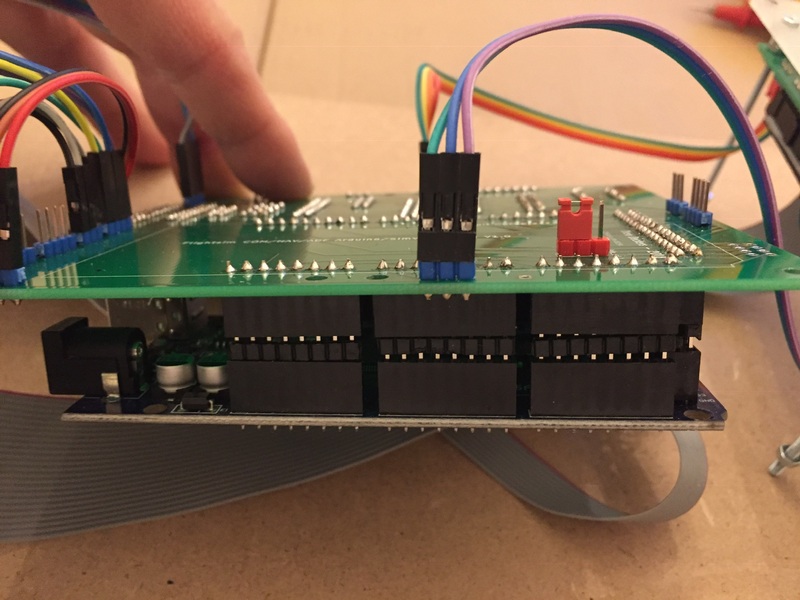 Multiplexer boards and wiring are a bit fragile, so the rev 2.0 backplane will have multiplexer chips integrated on the PCB instead. 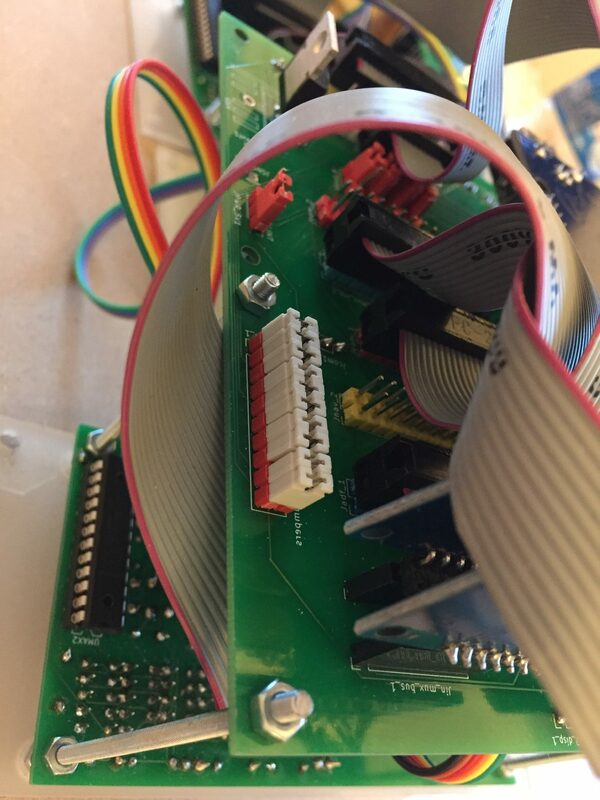 White data-in jumpers installed for non-daisychain MAX7219 mode for use with SimVim. The red jumper position in the lower left corner is for internal 5V supply. 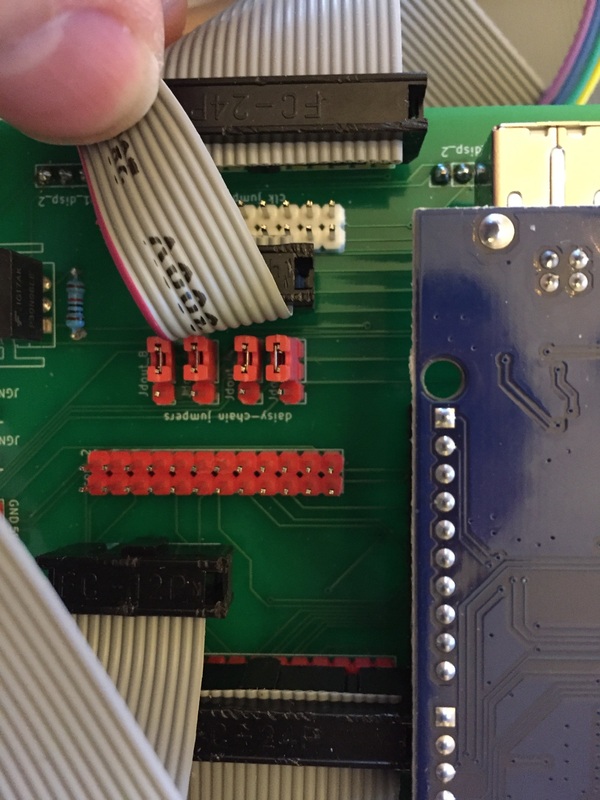 Remove the jumper and connect GND to the top pin and 5V to the middle pin for exernal supply. Captain radio panels mounted in pedestal. The front panel with engraved text still needs to be added. The combination of the COM1, NAV1 and ADF1 radio panels can be used to control most of the B737 Mode Control Panel functions by copying the SimVim configuration file below to the data.cfg file in the X-Plane resources/plugins/SimVim directory. 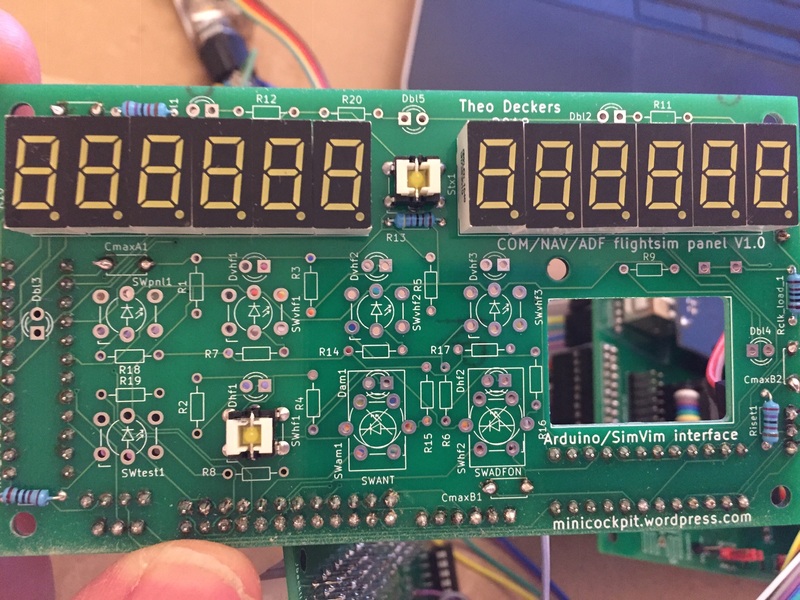 New designs are under development for a complete system with Arduino Master PCB, MCP PCB, EFIS PCB, revision 2.0 radio backplane PCB (using the existing radio panel PCB design at this page for 6 radio panels), MIP PCB and FMC PCB. 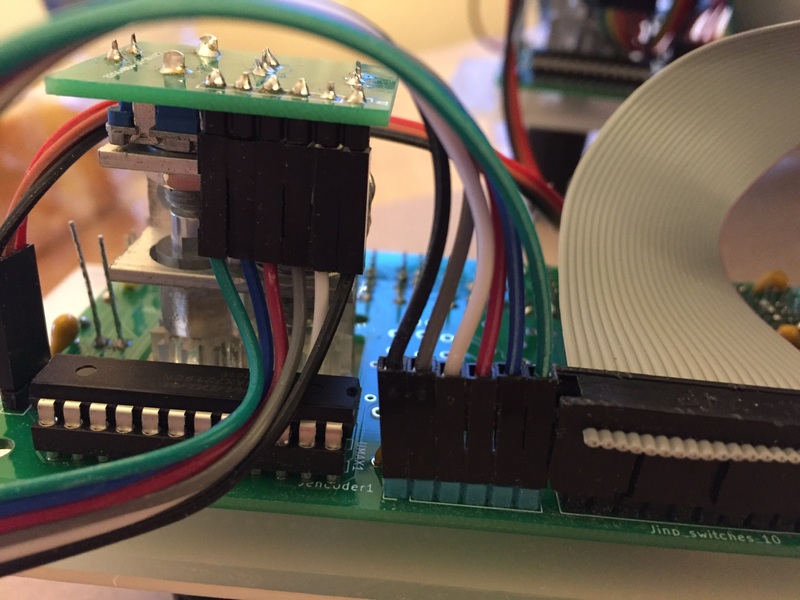 Development and testing of these will take time, but once successfully tested these will also be made available for free download in this blog.